CS Lewis is one of those Christian writers whom everyone has heard of but which very few have actually read. After promoting him at an number of events I realised that I really ought to have read more than just his Chronicles of Narnia and the book which helped to lead me to faith, Lewis’ Mere Christianity. 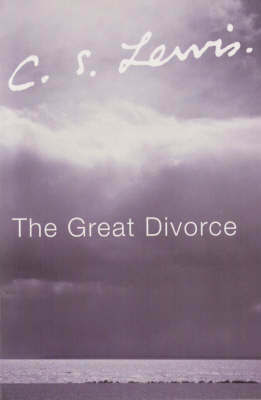 The Great Divorce seemed a great place to start as it had been recommended to me and importantly it was short. Unable to wait till I had finished the books I was reading I completed this book in a twenty-four hour period, putting it down only to sleep and eat, simply because it was far too good! The book is a fictious story of a man who is given the chance to leave Hell and visit Heaven, along with a bus load of other souls, to see whether it really is all they imagined. There the visitors encounter someone from their past who pleads with them to stay, whilst talking with them about what might cause them to refuse. Refuse Heaven for Hell? Yes and almost all of them do. Not because Heaven isn’t so much better than Hell, of course it must be, but because the visitors have become so self-obsessed and hateful of a God who might require something of them that they would rather spend eternity alone with only their self-justification for comfort. Hell begins with a grumbling mood, always complaining, always blaming others… but you are still distinct from it. You may even criticise it in yourself and wish you could stop. But there may come a day when you can no longer. Then there will be no ‘you’ left to criticise the mood or even enjoy it, but just the grumble itself, going on forever like a machine. It is not a question of God ‘sending us’ to hell. In each of us there is something growing, which will BE Hell unless it is nipped in the bud. This book reminded me of the eternal consequences of our everyday decisions here on earth, whilst giving a loving and orthodox explanation of the teachings of the Scriptures; what better way to spend twenty-four hours. The challenge now of course is to live out the truth of these words, to meditate on what it took to turn me around from heading in one direction to moving finally towards God who is Love and who longs to welcome all who choose to say ‘Thy will be done’ and to love, laugh and to continue down the path toward Him who made it possible whilst calling others to choose that path too! If you’re in the UK you can but this book here! Hmm. You sure make this book sound interesting. When I first read the name of the author I thought “oh, right, I read a book by them”, and then when you said “Narnia”, that was it. I never really finished that book but I liked Lewis’ style of writing back then so I might give this one a try. It somehow reminds me of Dante Alighieri’s Divine Comedy. I think that is because both explore the same concepts but there might be other reasons. Thank you for the thorough review. I will definitely put this book on my long “to read” list and see if I can arrange time to read it. Thanks mate, glad you liked the review and are adding it to your list. Let me know your thoughts when you’ve read it! WOW! Sounds like a great book. I will definitely be reading it!!! Thank you for sharing! Good review of The Great Divorce. 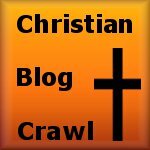 You are right that Lewis “is one of those Christian writers whom everyone has heard of but which very few have actually read.” I’ve only read the Chronicles of Narnia, 2 of the Space Trilogy books, and Mere Christianity. I have several of his other books in paperback…need to read them!! Lewis really is great, keep going with him and with your book list! I was left speechless by this book.. Oddly enough, it was given to me at a time when I was coming to these beliefs on my own(in a way 🙂 ). Lewis was able to articulate things I was having trouble with while also providing new light and encouragement. At several points I was in tears, not only from the compassion of this book, but also because it was reassurance and direction to something I hold so close to my heart. Thank you very much Lewis, and I highly recommend this book. Dave, I’m glad it helped you in your thinking around the subjects touched on. It is a great book and one which helps us to understand a very important topic and as you testified too can also be very emotional. Thanks for stopping by.